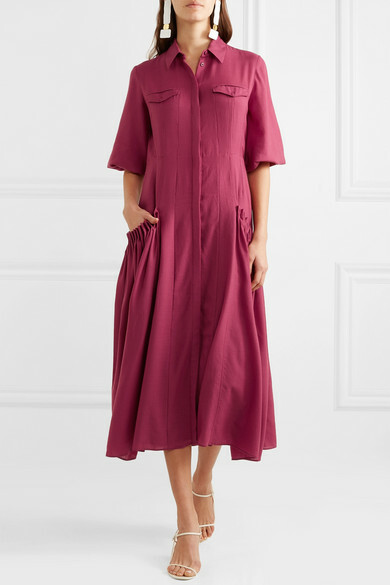 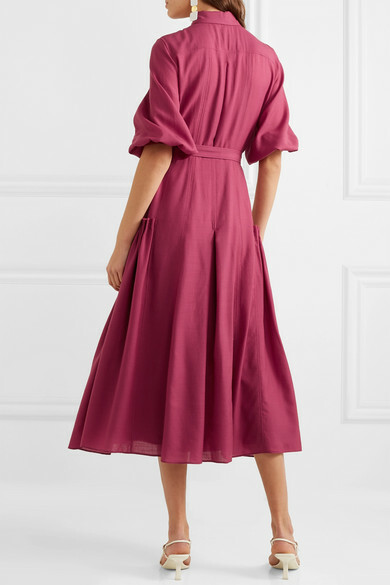 Gabriela Hearst's Resort '19 collection is made up almost solely of stunning dresses like this 'Woodward' design. 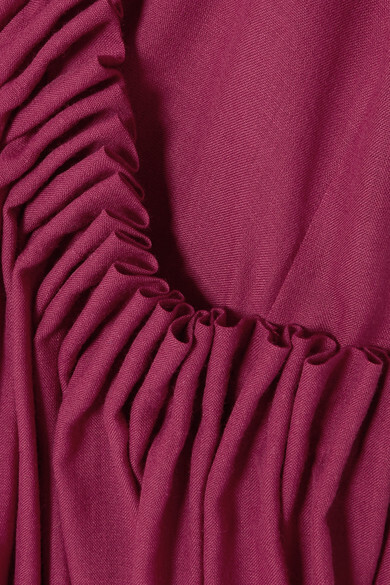 It's been cut in Italy from plum wool blended with cashmere. 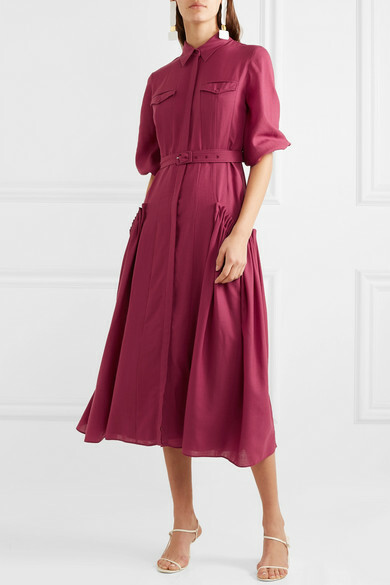 The gathered pockets are intricately ruched and the utility-style belt cinches you in at the waist. 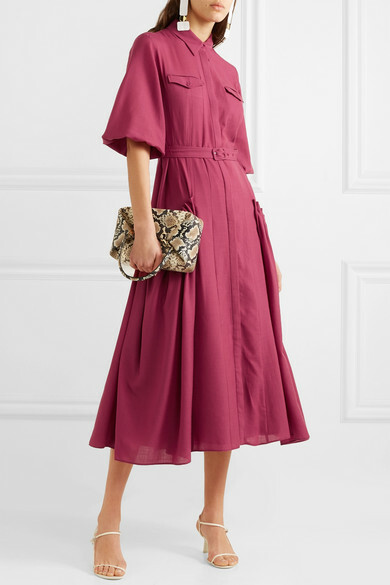 Shown here with: REJINA PYO Tote, The Row Sandals, Nausheen Shah x Monica Sordo Earrings.